Appreciating wine is an art form, one that isn't the easiest to grasp. 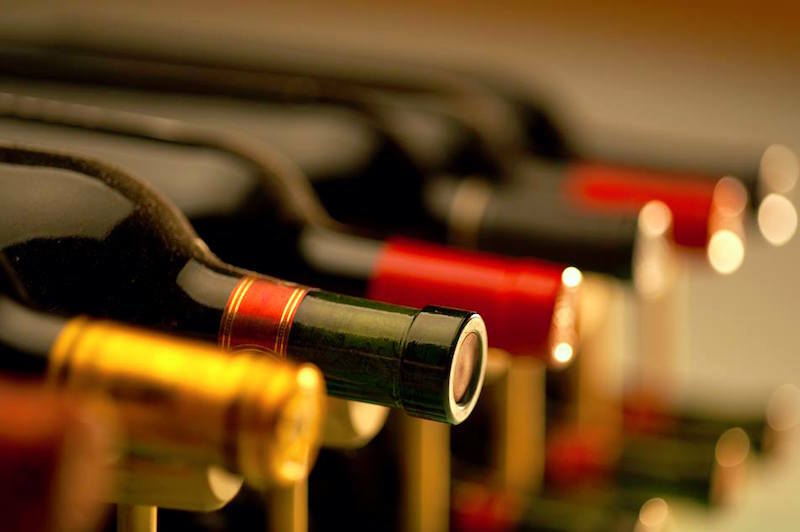 Sure, we can all identify the reds and whites that give our taste buds a treat - but to put the experience into words like "bright" and "crisp" or "oaky" and "tannic"? Who has time for that? Wine is wine, and as long as the flavours sit right with us, we're good (plus points if the price tags are kind to our wallet too). Granted, the value of wine is subjective, so to make things easier, we're going by the glass here, with nothing over $10 (before the dreaded combination of GST and service charge, of course). Who knows, maybe after all this affordable boozing, you'll find in yourself the beginnings of an amateur wine snob. Wine purists, look away now. Repeat after us: "House pour" are not bad words. They're just very misunderstood. 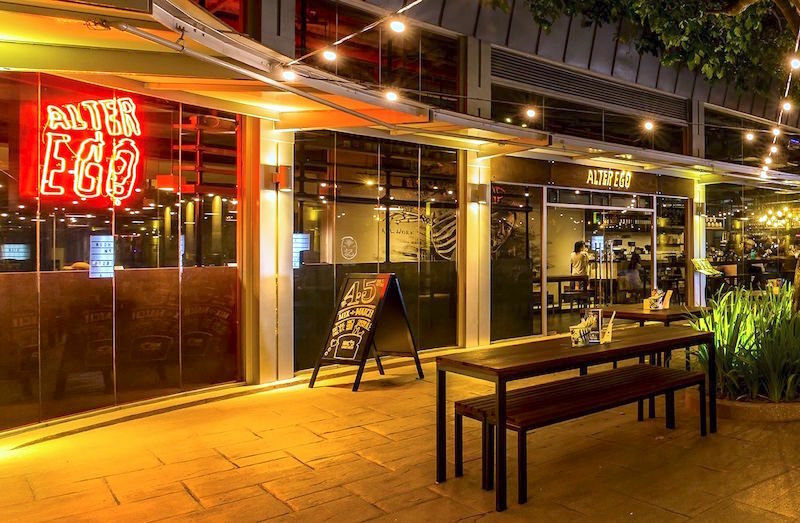 With that in mind, the house pour red and white offerings at this Esplanade eatery are slashed to half price when you arrive during happy hour (6pm to 9pm) with a fellow budget boozer. That means you can sip on Rive Gauche Chardonnay or Rive Gauche Merlot at the grand price of $16 (for two glasses). And the fact that these bottles come from far off European countries like France and Spain should have you feeling pretty special. But if you're too good for house pour, the German Riesling goes for $10 a pop anytime. #01-13D Esplanade Mall, 8 Raffles Ave. Mon-Fri noon-3pm, 6pm-11pm; Fri 5pm-1am, Sat 11am-1am, Sun 11am-11pm. We'll admit, this is quite the perfect place for reasonably-priced drinks any time of the day. Glasses of Merlot, Cabernet, and Muscadet go for just $6, or you can fork out $8 for the likes of Pinot Noir and Rose if you're feeling generous. Plus, ladies' night on Tuesdays (from 6pm) offers a free bottle of sparkling or rose to every group of four females. Sure, the menu is full of fancy French names that you probably can't pronounce (pointing always works), but there's no use overthinking things when you're already ordering the cheapest stuff on the list. Besides, saving money trumps saving face, right? Hotel G, 200 Middle Rd. Lunch: Weekdays 11am-3pm; Brunch: Sat-Sun 11:30am-4pm; Dinner: Sun-Thurs 6pm-10pm, Fri-Sat 6pm-11:30pm. 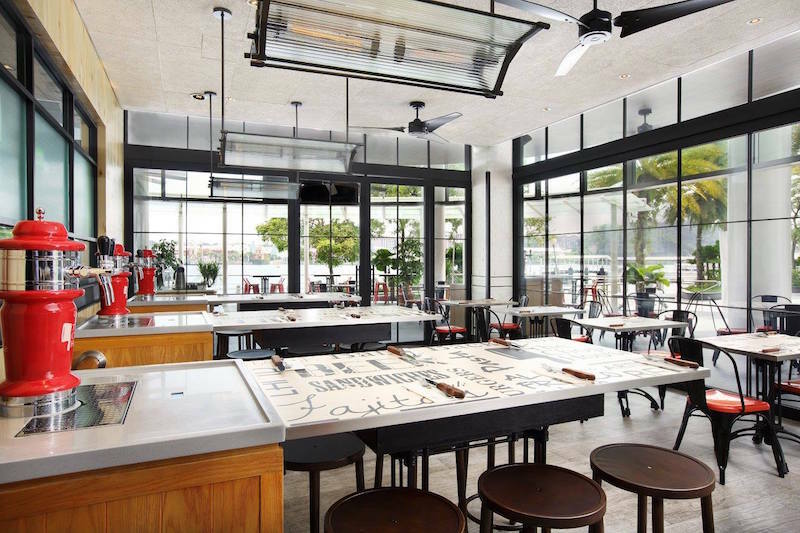 The breezy, perpetually packed rooftop bar has impressed penny-pinchers with its weekday "Beat the Clock" promo (5pm-8pm) since forever, with staggered prices for house wines (and spirits) depending on the time of your order. Essentially, alcoholic drinks go for $5 from 5pm to 5:59pm, $6 from 6pm to 6:59pm, and $7 from 7pm to 7:59pm. So just find a reason to clock out of work early, and you could be guzzling down five glasses of house pour red or white for as low as $25. Damn, that's a cheapskate's dream right there. #03-07 Odeon Towers Extension Rooftop, 331 North Bridge Rd. Mon-Thurs 5pm-1am, Fri-Sat 5pm-2am. The drinks selection varies a little at this CBD restaurant, where house pour spirits, house wines, and draught beers go for $9 on happy hour weekdays (5pm-8pm). Us, we're just here for the grape. 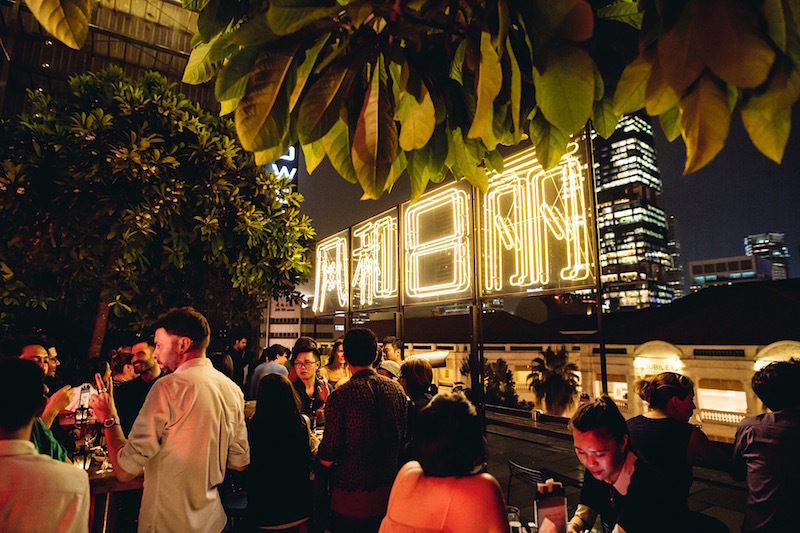 You may have to sneak off from work to take advantage of this, but on the plus side, you get to luxuriate in your sleek surroundings and pretend to be atas while holding your wine glass and smirking at the fact that you're spending a lot less than the fools at the next bar. 19 Cecil St. Mon 11:30am-11pm, Tues-Thurs 11:30am-midnight, Fri 11:30am-1am, Sat 5pm-midnight. 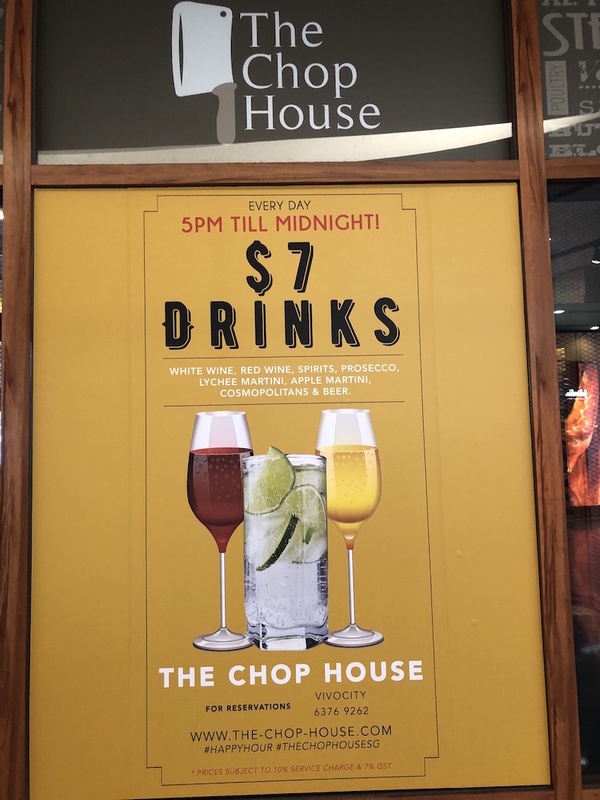 When we recently paid a visit to VivoCity, we did a double take after walking past the most glorious orange sign advertising $7 drinks at The Chop House from 5pm to midnight every. Single. Day. Is that not the most beautiful thing you've ever read? We almost shed a tear - the restaurant got us, it truly did. Because where else can you find such admirably-priced house pour glasses of white, red, and Prosecco (except perhaps Ginett) on a weekend night? Spirits, selected martinis, cosmopolitans, and beers will also set you back a mere $7, but ain't no wine drinker got time for that. Two locations, including #01-161/162 VivoCity, 1 Harbourfront Walk. Daily 11:30am-late. 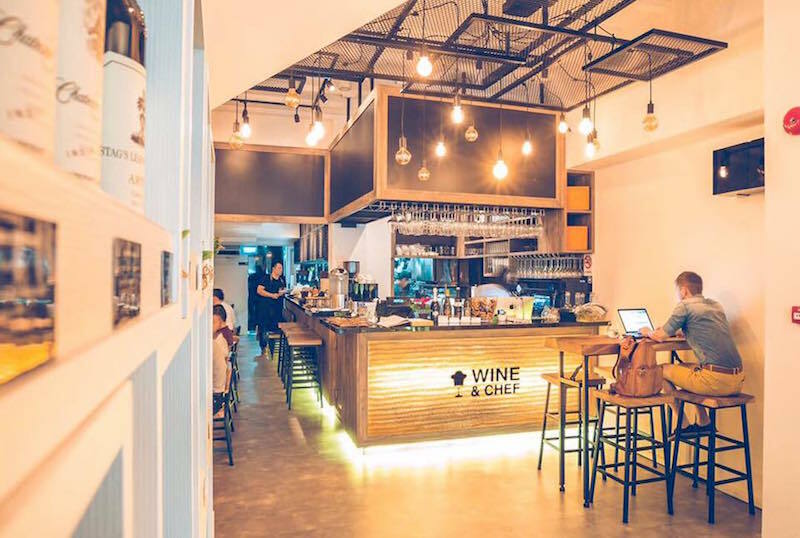 A cosy shophouse space along Keong Saik Road, Wine & Chef will have you buzzed on a hip street for the low, low number of $7. For that price, you can probably get stuffed on a plate of rice piled high with roasted meats at famous coffee shop Foong Kee across the street, but ask yourself first - which would bring you more joy? True tightfisted wine imbibers will know the right answer. The menu even goes the distance and thoughtfully describes its vino selection with names like "delightful sparkles" ($8), "refreshing white" ($7), "light red" ($7), and "happy sweet" ($8), so the most clueless of drinkers can at least pretend to know what they're talking about. 7 Keong Saik Rd. Mon-Sat 11am-11pm. Ah, Wine Connection. The go-to spot for easily accessible, decently priced vino. The brand's eateries across the island may not serve the best food, but that doesn't really matter when all you want is to fill up on glass after glass of red and white. Each bistro/bar has its own menu, so just to give you an idea, you can sip on Italian Prosecco ($7), Italian Moscato d'Asti (aka the sweet wine for beginners, $7), French Rose ($8), Spanish Verdejo ($7), New Zealand Sauvignon Blanc ($9), and Australian Merlot ($8) at the VivoCity outlet. It's more of a casual, mainstream option, but hey, being frugal means you don't always get to swirl your glass in style. Seven locations, including #01-152/153/154 VivoCity, 1 Harbourfront Walk. Mon-Thurs 11am-midnight, Fri-Sat 11am-1am, Sun 11am-11pm. 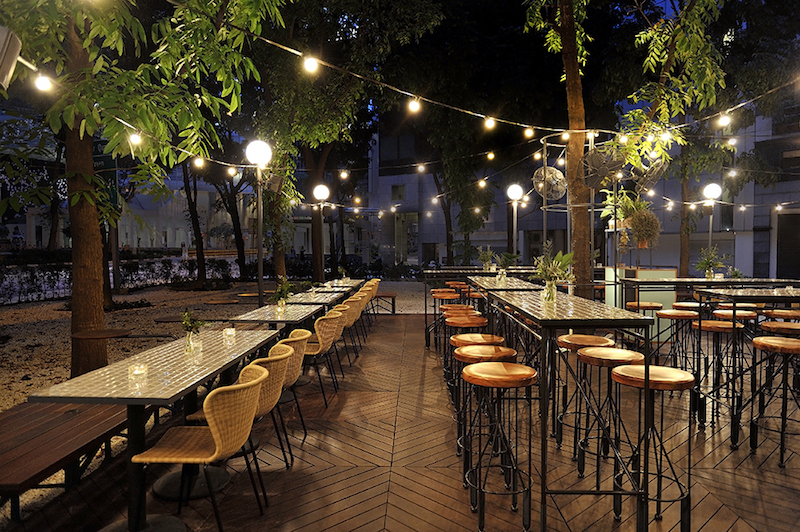 Unless you're in the mood for a chill heartland hangout at Sembawang, Wine Mansion's Keong Saik outlet is probably right up your alley. 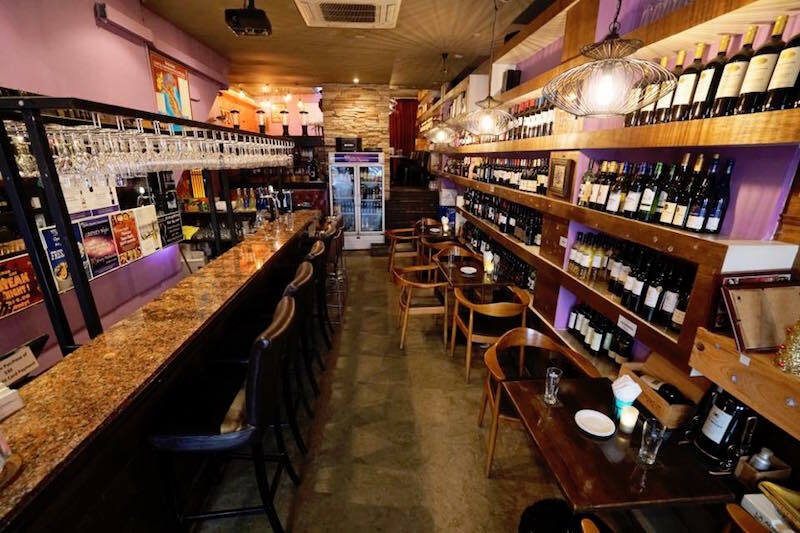 It's not the most Instagrammable place, but with $8.50 red, white, and Rose house pours alongside an inexpensive menu of kebabs, pastas, and sandwiches, the quaint bistro offers a respite from the bustling street. Ideal for sipping on your value-for-money vino in peace. 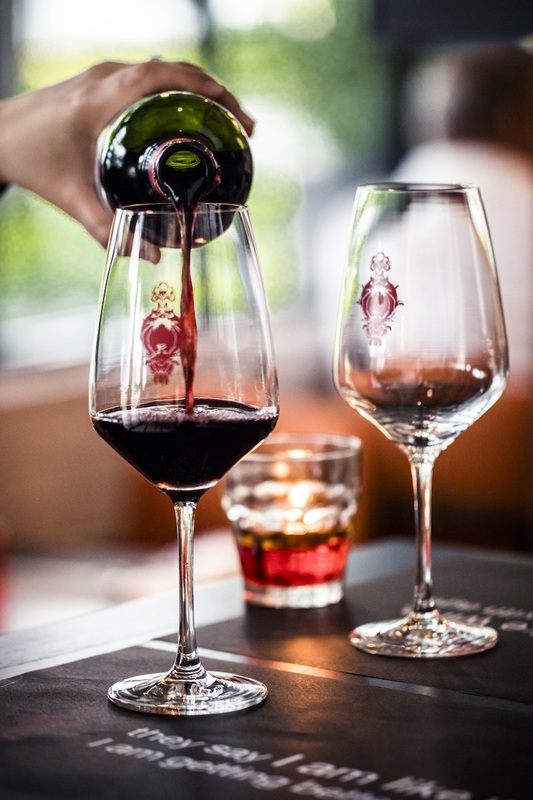 Drop by at lunch for a mid-day buzz, and you can even pair your meal with $5 house reds and whites. Totally worth it, especially since a cappuccino order will already cost you $4.50. And if you consider yourself somewhat of a bottomless pit when it comes to wine, happy hour on Mondays and Thursdays (5pm-9pm) will set you back $35 for free flow house red, white, and Prosecco. Two locations, including 20 Keong Saik Rd. Mon-Fri noon-2:30pm, Mon-Sat 5pm-midnight. This article was first published in Coconuts Singapore.